Biryani: It looks so cheap even writing about it. Biryani is spiced rice and Muslims are claiming that they introduced this food to Indians. Perhaps Muslims believe everybody in India eats biryani in breakfast, lunch and dinner or perhaps people are lining up to restaurants to eat biryani. Some Muslims are even claiming that biryani is the most popular food in India. Surely NOT. 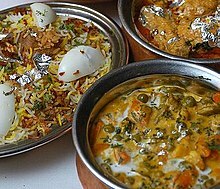 The most popular food in India are daal, rice, samosa and poha. It looks so cheap on Muslims that they make a claim over a food. There are around 5000 Indian restaurants in USA alone. Does that mean Indians are contributing to their lives? No. People are paying for their food and nowadays anybody can pull a recipe from internet. Tandoori Roti: Another example of cheapness of these people. Tandoori roti is limited to hotels only. People in India eat homemade chapatis or parathas at home. Claiming tandoori as a contribution just shows the cheap mentality of these people. Musical Gharana: Islam is against music, all kind of it. This is one of the reason why Sufi shrines in Pakistan were attacked by ISIS Muslims. As for musical gharanas or families , they were using Indian musical instruments. India has a long musical history dating back to thousands of years involving development of several musical styles and instruments. Muslims were barbarian who brought nothing with them. A block printed and resist-dyed fabrics, whose origin is from Gujarat is found in tombs of Fostat, Egypt. This proves that Indian export of cotton textiles to the Egypt or the Nile Civilization in medieval times were to a large extent. Large quantity of north Indian silk were traded through the silk route in China to the western countries. The Indian silk were often exchanged with the western countries for their spices in the barter system. This was the text of a WhatApp message circulating among Muslims. The question here is “What was the role/contribution of Muslims to Indian economy? You can observe from the below chart that from 1000 AD India’s share in world’s GDP started declining while China’s share started increasing. The reason was – Islamic invasion of India. From 1000 AD Muslims started attacking India – Mahmud Ghaznavi, Muhammad Ghori and later Islamic dacoits ravaged the country. If Muslims were really so good at building an economy why Afghanistan, Pakistan and Bangladesh are not rich countries? It’s clear Muslims are just boasting about things which are either trivial in nature(food) or non existent. They should first contribute to the society first and then feel good about themselves. Sharing WhatApp messages can only satisfy their inflated egos but will not do anything good for them. This entry was posted on February 18, 2018 at 9:58 am	and is filed under Uncategorized. 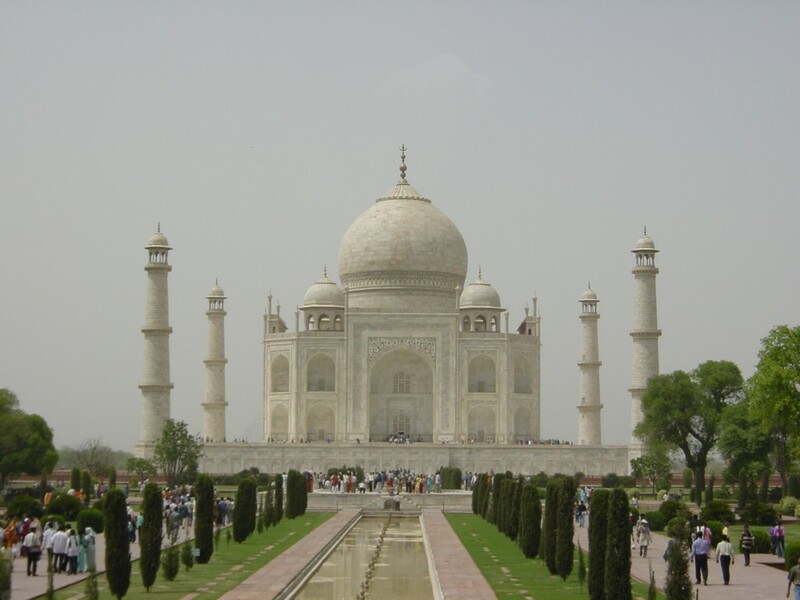 Tagged: biryani, Indian Muslims, muslim contribution to India, muslin, taj mahal, tandoori. You can follow any responses to this entry through the RSS 2.0 feed. You can leave a response, or trackback from your own site.